Student entrepreneurs, industry experts, investors, and other energy leaders convened in Austin, Texas on June 26-27 for the the Cleantech University Prize (Cleantech UP) 2017 National Competition. 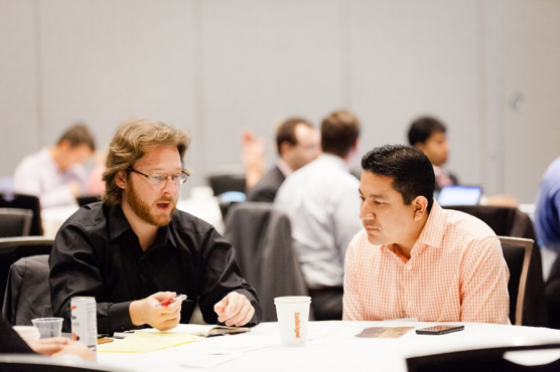 Held in conjunction with the Smart Cities Connect Conference and co-hosted by the U.S. Department of Energy (DOE) and VentureWell, the event brought together regional competition winners from all across the country. 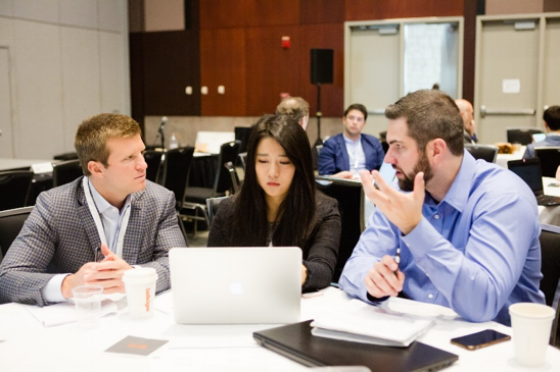 In addition to competing for $100,000 in prizes, the student teams received business development training, investor feedback, and one-on-one industry mentoring. Some highlights of the national competition and the student entrepreneurs working to turn their clean energy ideas into real world solutions are showcased in this photo essay. The teams arrived at the Austin Convention Center bright and early for a welcome reception. The competition kicked off with a powerful keynote by Greg Flay of Austin Energy. Teams had an opportunity to rehearse and polish their pitches before the competition began. Vescense from the University of Houston got some fresh air and practiced with their team mentor outside. Teams gave a brief pitch to a panel of judges, explaining their idea, their business plan, and the value of their clean energy innovation. The student entrepreneurs received training and mentorship from industry experts. After a networking lunch, the second round of pitches and mentorship began. The judges deliberated to determine which teams would advance to the final round. The Department of Energy announced the six team finalists. Among them was Resthetics of the University of Houston. Day two kicked off with a full morning of training from a certified entrepreneurship instructor and continued mentorship. After a networking lunch, the finalists each gave a ten-minute pitch followed by a five-minute question and answer session. All pitch presentations were open to the public. 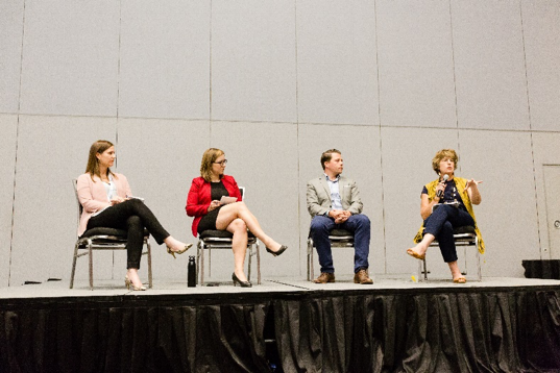 Before the winners were announced, teams listened to a panel discussion with Austin’s Chief Sustainability Officer, Lucia Athens, Ben Gaddy from Clean Energy Trust, and Gina Schrader of NextEnergy. The panel discussion, Reimagining a Sustainable Future, was moderated by Johanna Wolfson, director of DOE’s Technology-to-Market Program. The U.S. Department of Energy announced the competition winners at Smart Cities Connect. 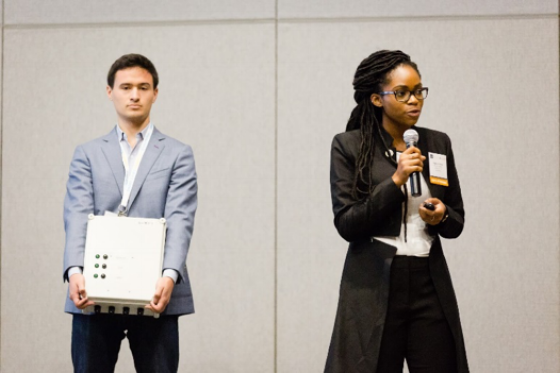 The first-place prize went to Infinite Cooling from the Massachusetts Institute of Technology (MIT). The second-place prize was awarded to Grox Industries from the University of Arkansas, and third place to WEAV3D from Georgia Institute of Technology. Read more about the winners on the Cleantech UP blog.